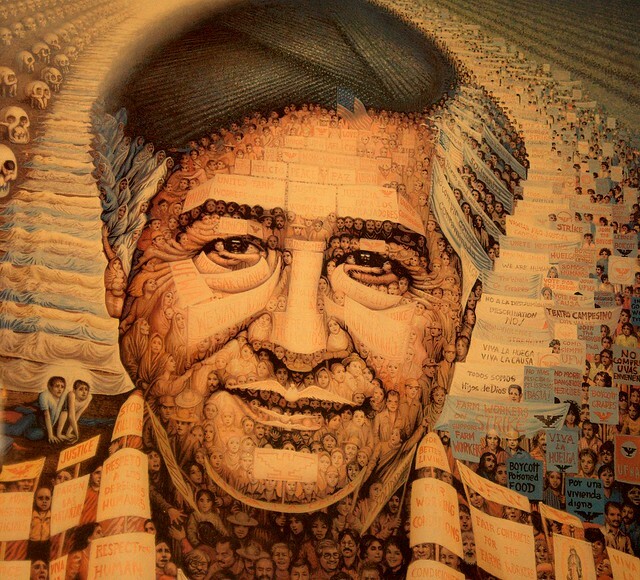 cesar chavez(detail) | Flickr - Photo Sharing! from a picture seen at Luz's office. Octario Ocampa artist! Thanks Carol! Wow, that's a cool picture! So glad to see this art! Very nice image you've captured of it. My set from a mural dedicated to him is here. wonderfully done. Do you know who the artist is? Muito bacana essa foto! Um rosto composto de várias imagens...fantástica! Oh, my! I had to examine it full size. Lots of stuff going on!